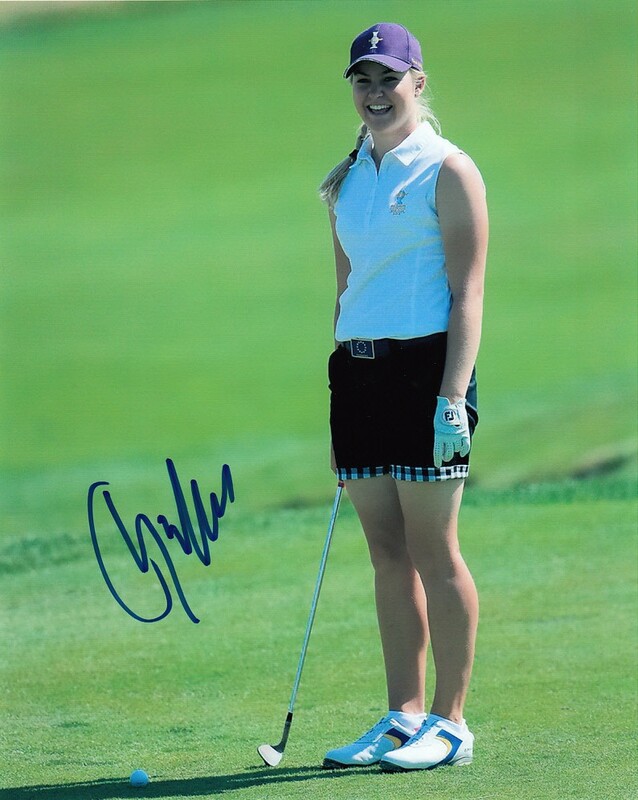 8x10 photo of Charley Hull smiling on the fairway during the 2013 Solheim Cup autographed in blue marker. Obtained in person, with certificate of authenticity from AutographsForSale.com. ONLY ONE OF THIS POSE AVAILABLE FOR SALE.